View cart “Supporter 2B” has been added to your cart. We’re making it easier for you to keep your Rose Metal Press collection current. Pay once a year and you will receive each book as it publishes, while also helping make possible the production of our 2019 books. There are also options to support by purchasing a partial subscription. 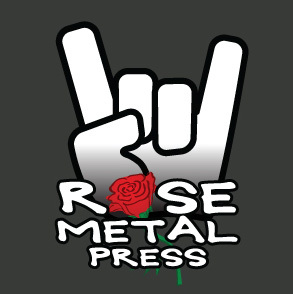 Rose Metal Press is a 501(c)(3) non-profit, so all donations are also tax deductible. $30 — SPRING BOOK: Receive a copy of our spring 2019 book when it is released and help fund its publication. $30 — FALL BOOK: Receive a copy of our fall 2019 book when it is released and help fund its publication. $45 — SIGNED SPRING BOOK: Receive a signed copy of our spring 2019 book when it is released and help fund its publication. $45 — SIGNED FALL BOOK: Receive a signed copy of our fall 2019 book when it is released and help fund its publication. $75 — FULL 2019 SUBSCRIPTION: Receive both books at the time they are released and help fund their publication. $100 — FULL 2019 SUBSCRIPTION with SIGNED FALL BOOK: Receive both books at the time they are released and help fund their publication, plus your copy of the fall book will be signed by the author. $250 — FULL 2019 SUBSCRIPTION with BOTH BOOKS SIGNED: Receive both books at the time they are released and help fund their publication, plus your copies of both books will be signed by the authors. $500 — FULL 2019 SUBSCRIPTION with BOTH BOOKS SIGNED plus SPECIAL GIFT: Receive both books at the time they are released and help fund their publication, plus your copies of both books will be signed by the authors and you will receive a special RMP gift. $1000 and above — FULL 2019 SUBSCRIPTION with BOTH BOOKS SIGNED plus SPECIAL GIFT: Receive both books at the time they are released and help fund their publication, plus your copies of both books will be signed by the authors and you will receive a special RMP gift. In all cases, the subscription options include a tax-deductible donation. The book cover prices and shipping costs for 2019 total about $40, so the remainder of your subscription/gift will be tax deductible. Donations above $1000 should be made using the Donate Now button below or by check. Checks should be made out to Rose Metal Press, Inc., and sent to Rose Metal Press, PO Box 1956, Brookline, MA 02446. As always, you are welcome to donate to the Press outside of the subscription program and have the whole of your gift be tax deductible.